None of the new train users were surprised to find long lines outside the stations in Cúa and Charallave, even before 5 in the morning this Monday. The cause? The start of operations came with the delays typical of a brand new system, and user demand outstripped expectations, due to the last minute decision to make rides free. People from Urdaneta County waited at their station until 5:20 am to take the first railroad, while the second only got there at 6:40. 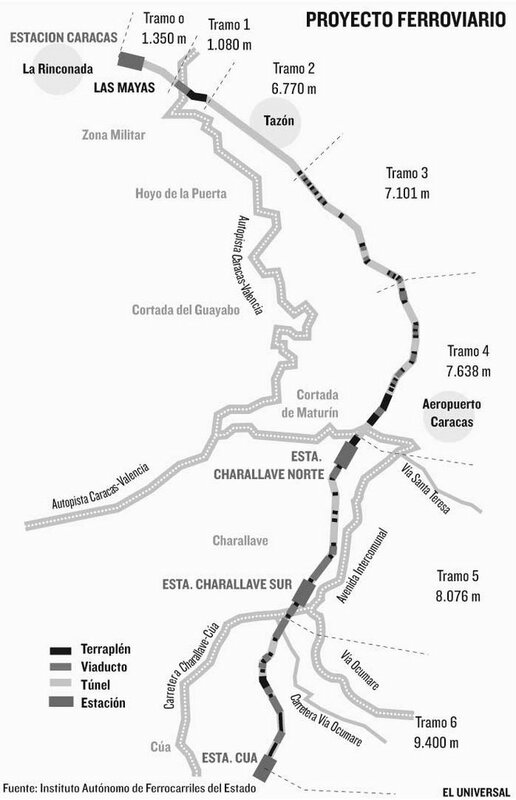 The delays meant that wagons arriving at Cúa - the start of the line - were already pratically full, since some passengers from Charallave-Norte and Charallave-Sur who wanted to go to Caracas opted to get on the southbound trains to Cúa so they could find seats and enjoy a more comfortable trip. This situation generated a vicious circle that led to total congestion all through the system. The wait was in vain for many users who could not get to the train platforms before 9 a.m. in any of the three stations. Though they had paid Bs.1,100 (US$0.50) to get to Charallave-Norte or Charallave-Sur on minibuses, they ended up having to ride buses to Caracas as usual because they missed the last morning train. 21st century socialists can't seem to understand that price is a rationing mechanism - the way you make sure that no more of a scarce good or service is demanded than can be supplied. You can take away the price signal, remove any incentive not to over-consume, but that does not magically increase supply. Encourage over-consumption of rail services and you don't strike a glorious blow against the ideological superstructure of savage neoliberalism: you just create a shortage. Which, of course, gets back to JayDee's point yesterday. Everybody wants a society where people can afford to move quickly and comfortably from home to work and back again. But if you try to bring it about in the most primitive, least thought-through way possible (free train for everybody!) you don't advance social justice, you just make an all around mess.